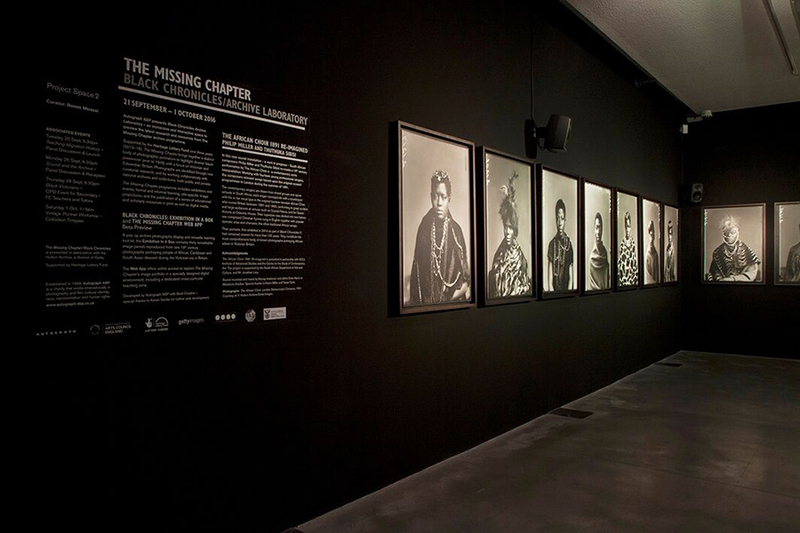 Installed for ten days only in the upstairs project space at Rivington Place, the Black Chronicles Archive Laboratory was an immersive and interactive gallery hub showcasing the latest research and resources from The Missing Chapter project, exploring Black Victorian photographic portraiture through different media. 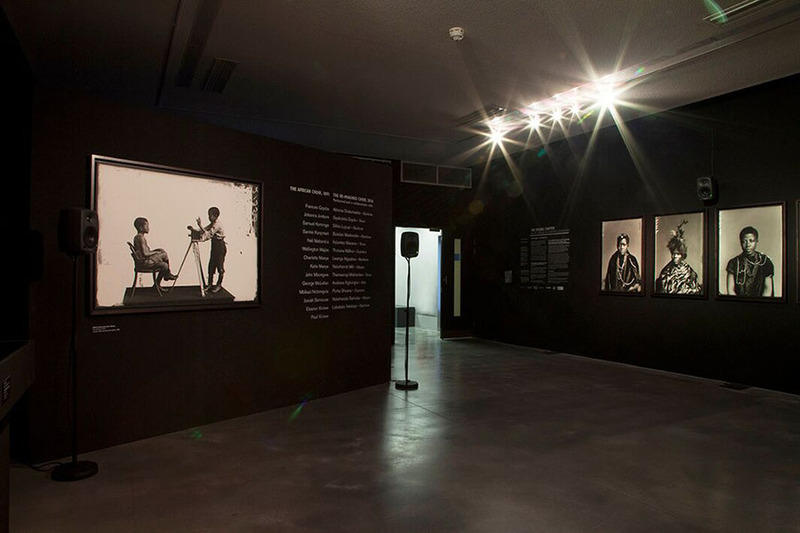 This short exhibition included a special newly curated display drawn from our acclaimed 2014 Black Chronicles II exhibition, which featured a selection of 16 large-scale photographs of The African Choir of 1891 from the Hulton Archive. 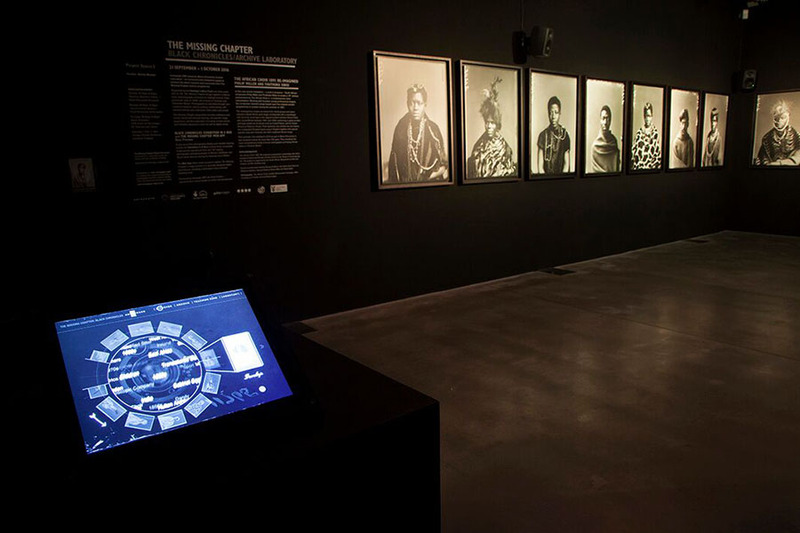 These were shown as part of The African Choir 1891 Re-Imagined, a new sound installation in the gallery by acclaimed South African composers Philip Miller and Thuthuka Sibisi. 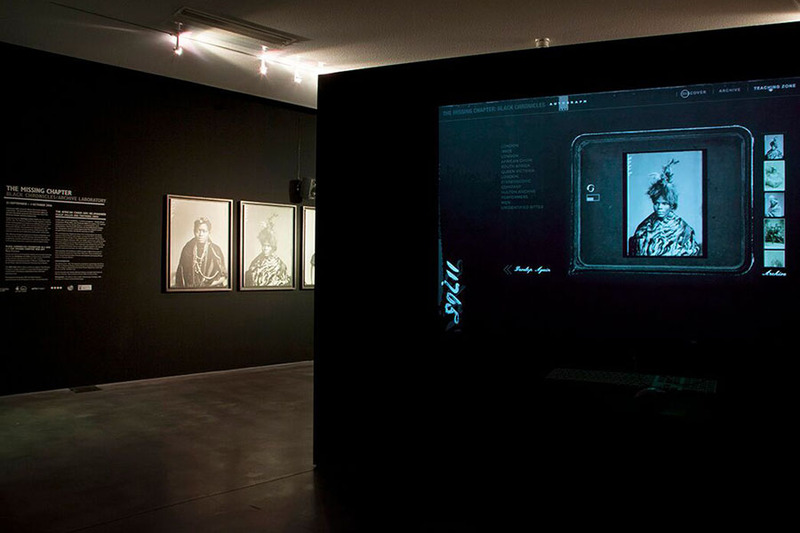 The exhibition offered a platform for an interactive learning space showcasing The Missing Chapter Web App in development, where visitors could explore 19th century photographs portraying people of African, Caribbean and South Asian in the gallery as a projection and on several iPods mounted on pedestals . 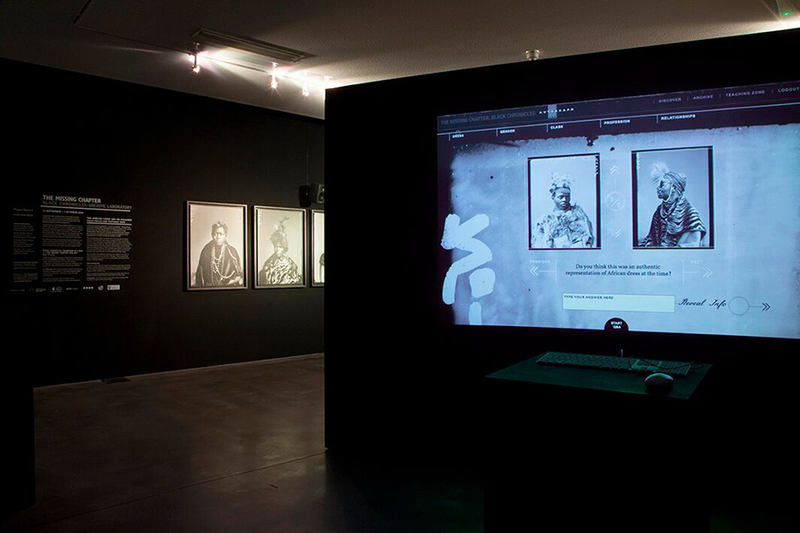 The newly published Exhibition In A Box was installed for the first time, with copies made available for viewing. 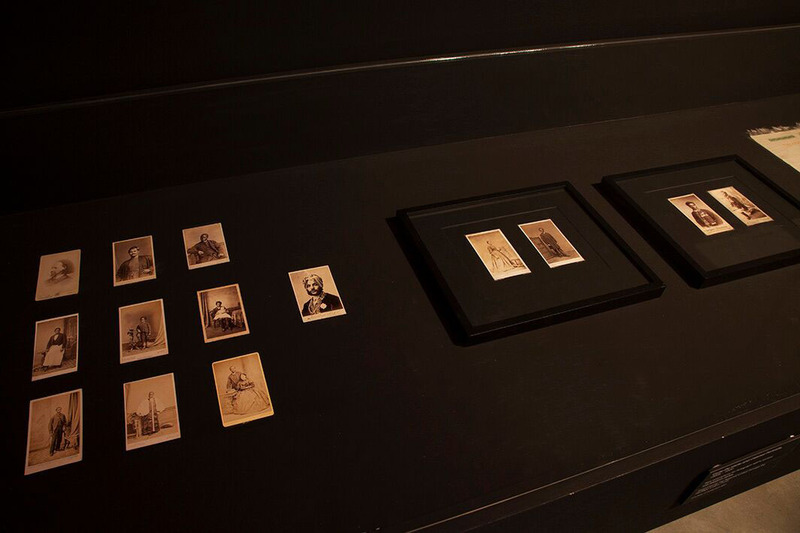 Finally, a selection of original 1860s-1890s carte-de-visite portraits depicting black Victorians, recently acquired for Autograph ABP’s archive, were displayed. 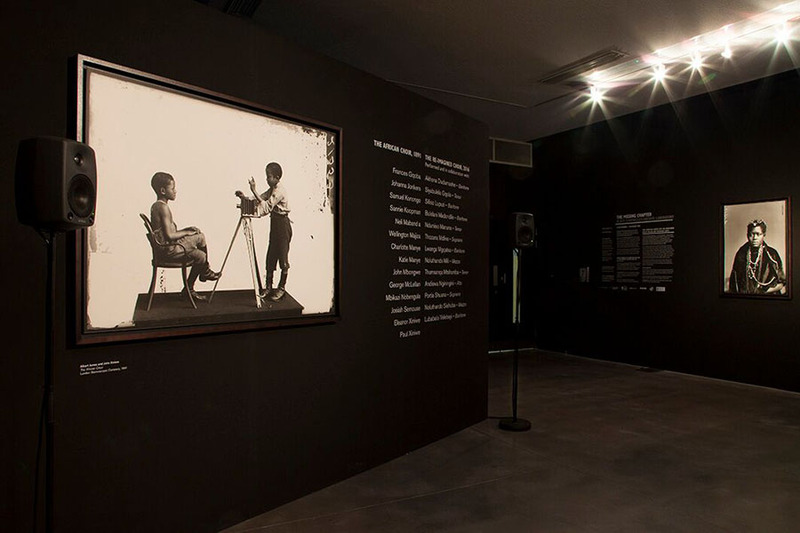 See the full list of Public Events and In/formal Engagement.